Morey’s Piers and Beachfront Waterparks is about to celebrate a milestone anniversary this summer. 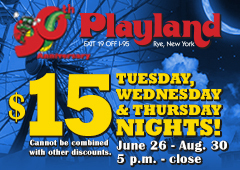 This year represents its 50th year of serving up family fun, and that is a great accomplishment they can be proud of. Morey’s success stems from smart, dedicated management and their ability to execute a business plan that meets the desires of their wide-ranging clientele. Their overriding focus is a family orientation, and this mantra trickles down to their staff. When the business first began, the principal focus was on rides. Today, the core represents an evolution to meet ever-changing consumer demands by expanding and creating a much larger scale business that appeals to the entire family. Morey’s Piers is now a conglomerate which runs waterparks, amusement parks as well as a host of restaurants and bars. They have significantly expanded their physical presence and created a destination where families feel comfortable enjoying their leisure hours while having a range of activity choices to enjoy. Morey’s Piers is now a Resort Island Destination comprised of public spaces that include large-scale art projects like the Wildwoods Sign, Fire Hydrant, and the Coaster Dog. The Wildwoods Sign, was a creation of Philadelphia architect Rich Stokes who has a keen understanding of the Wildwoods culture. The Fire Hydrant is a combined effort of Richard Stokes and the Bielings (a father and son) team from New Jersey. You may ask, what goes well with a fire hydrant and the answer, of course, is a dog. The Coaster Dog, which has a repurposed section from a previously used roller coaster track was conceived by the Bielings team and manufactured by Vekoma—a Netherlands company. The consumer is always searching for new experiences while also maintaining the comfort experiences they have enjoyed in the past so gravity, acceleration, and centrifugal force will always be mainstay components in creating the overall balance between fear and fun. And Morey’s Piers doesn’t disappoint. It offers more than 100 rides and amusements on three piers. But that’s not all. Look for two waterparks that will thrill with slides and ride. • Mariner’s Pier features a traditional amusement park experience with Teacups and Super Scooter rides and a giant Ferris Wheel. Arrive early and treat the kids to a one of a kind thrilling experience—Breakfast in the Sky. Enjoy a white tablecloth breakfast served inside a Ferris Wheel car! • Surfside Pier provides a right mix of rides for kiddies and older children and adults. 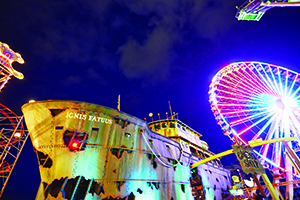 Kids will delight with the neon-lit carnival atmosphere on this pier. • Adventure Pier is, as you may have guessed, where you’ll find the genuinely extreme rides like the wooden Great White Coaster, the Grand Prix Raceway. • Raging Waters Waterpark, located behind Mariner’s Pier, is where one and all enter to be transported to the land of pirates. Here families can enjoy shipwreck-themed play areas, rope swings and plenty of waterslides. • Ocean Oasis Waterpark and Beach Club can be found behind Surfside Pier. In addition to waterslides and play areas, Ocean Oasis offers cabanas, live music, a swim-up bar and other beach club amenities. This year Morey’s Piers celebrates its 50th Anniversary and continues to offer family fun with some new additions and attractions to make 2018 even more memorable. Look for new rides several new restaurants serving tempting foods and drink, and even new public spaces with art installations. • Wild Whizzer Spinning Coaster This Italian-made spinning roller coaster has vehicles shaped like personal hovercrafts which spin independently of one another. After five minutes of twists and turns and reaching new heights, you’ll want to do it all over again. Location: Mariner’s Pier. • Pirates of the Wildwoods Although not new, this ride has been re-themed and upgraded both inside and out. The 3D cartoon adventure takes visitors on a journey to discover the treasure. Location: Mariner’s Pier. Try Waterparks in the morning and Piers later in the day. The best tip for families with small children? Spend the day exploring both the Surfside and Mariner's. 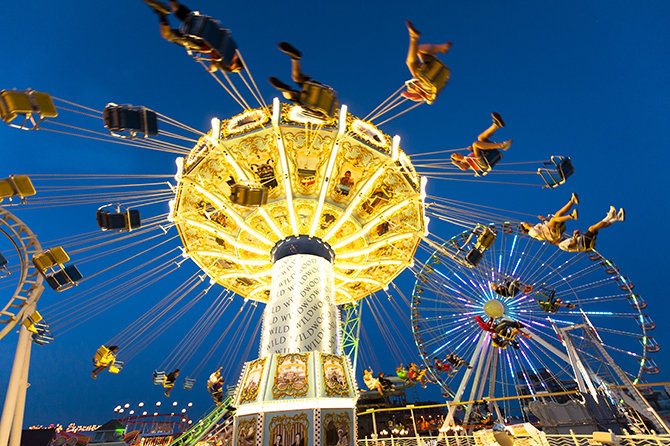 Each has kiddie rides as well as rides for the whole family to enjoy together. For families wanting some water park fun, check out Raging Waters two special play areas. Any little-known events/activities that are hidden gems? On Surfside Pier, at the Ocean Oasis Waterpark & Beach Club, you can reserve a Private or Family Cabana. It makes for an excellent way for families to have a home base, take a break, and relax. • Pigdog Beach Bar & BBQ The beach bar welcomes families to relax and indulge in some great burgers, barbecue, or just a cold drink on a beautiful sunny Jersey Shore day. Pigdog also affords hammocks, cargo net beds, and even a re-purposed sailboat that washed ashore last summer. The term pigdog is a surfing term describing when one takes a stance with head forward and down with the body balanced on hands and knees. Naturally, Morey’s Piers understands that dogs are part of the family and is dog-friendly! Location: Behind Raging Waters Water Park. • Wilhelm’s Bier Garten What better way to enjoy a beer and brat? Named after co-founder Will (Wilbert) Morey, who enjoyed visiting Oktoberfest annually to partake in all the festivities in Germany. While there, he took note of the German engineering in amusements rides and was so inspired that eventually some of those fun rides found their way across the Atlantic to Morey’s Piers. Now Morey’s family has honored the tradition with the opening of this new restaurant serving up German pretzels, sausages and, of course, beer, music, and more. Location: Mariner’s Pier. • The Founders Bar Located within Jumbo’s Grub & Pub, the new Founders Bar is a tribute to all the inventors, designers, and trailblazers who helped the seaside culture evolve into what it is today. Sixteen famous (and maybe infamous) notables are featured on the walls of the pub showcasing their stories and inventions. Also available, a vast selection of tap beers, many of the drinks are named after these trailblazers. By the way, don’t miss the rebranded Jumbo’s with a new chef and excellent menu. Location: Mariner’s Pier. 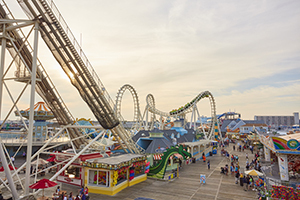 Whether you want to spend your days (and nights) riding the best amusements under the Jersey sun or simply want to get away from it all with the family, Morey’s Piers has it all and lots more. With its endless variety of rides, attractions, and food options on the beautiful Jersey shoreline, Morey’s Piers makes for a perfect boardwalk getaway. 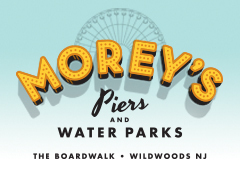 For more information on Morey’s Piers and Beachfront Waterparks, visit moreyspiers.com. Just an hour south of Atlantic City, you’ll find the Wildwoods, a beautiful cluster of five towns set on a barrier island just off New Jersey’s southernmost point. The area is more subdued than Atlantic City, where families find a dizzying assortment of fun along the Wildwoods Boardwalk. There are plenty of B&Bs and resorts, but a stay at Pan American is par excellence. 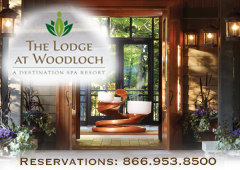 Of course, there are the usual amenities, but it’s the staff that makes the difference. Service is utmost and is practiced every day right to the top. General manager, Jim Kelly, knows what it takes to operate a top-quality organization. After three decades at Pan American, he ought to know. “It’s all about being treated like family” which he instills in each member of his staff from kitchen to reception. A good reason, families return to this sunny gem year after year; it’s that intoxicating. 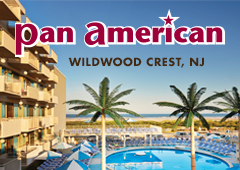 Since Pan American is nestled on the beach, those who want to soak up the rays have several options. Head to the beach for the day or relax in a chaise lounge by the swimming pool (there’s a connecting kiddie pool). Also, an elevated sun deck overlooks the pool and offers even more amazing views of the beach and sparkling ocean waters. The Pan American Hotel caters to families where’s there’s plenty do especially for children. While adults relax on the beach or poolside, a social director can lead kids on supervised activities (in season). 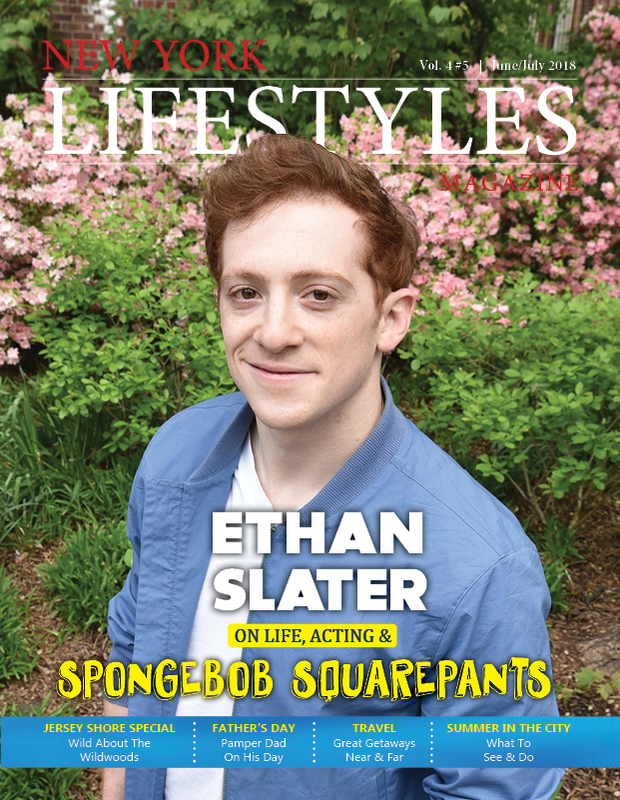 There’s also beach volleyball, watersports, golf, and tennis. For more information on Pan American Hotel, visit moreyspiers.com/hotels/pan-american. Chill or Thrill! Mild or Wild! In the Wildwoods, you can do as much—or as little—as you like. There are miles of white sand beaches and 38 blocks of boardwalk fun. 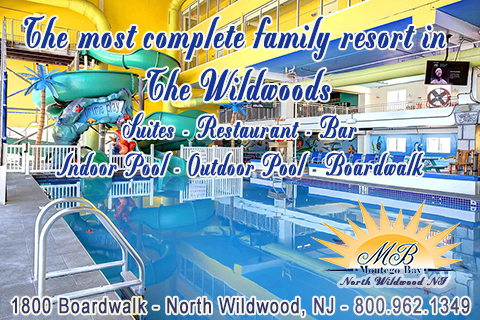 Everything you could ever dream in a family vacation is right here in the Wildwoods. A stay The Port Royal Hotel, situated on the beach, offers guest rooms and suites catering to families looking to spend an enjoyable vacation at the Jersey Shore. The rooms range from Standard to Deluxe Ocean Suite which includes two bedrooms and a living area comfortably sleeping up to six. All rooms feature flat screen TV’s, refrigerators and complimentary Wi-Fi. 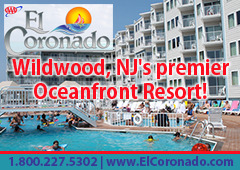 Guests also enjoy the outdoor pool, kiddie pool, patio, snack store, game room, and a popular ‘50s-style restaurant. 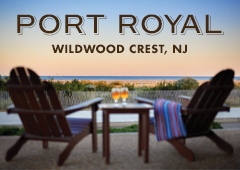 As general manager, John Way maintains whatever you are looking for in a vacation experience you will find it here in the Wildwoods at the Port Royal where attentive service is always number one. 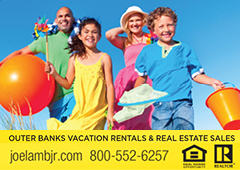 With glorious beaches, fireworks and live music the Jersey Shore is the place to be. For more information on Port Royal Hotel, visit moreyspiers.com/hotels/port-royal.